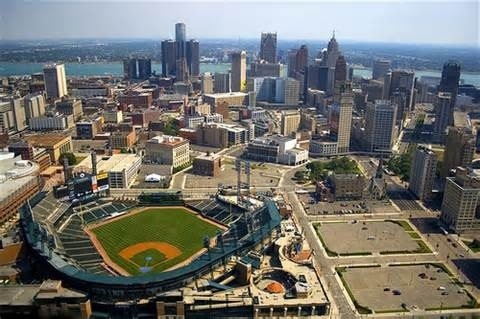 ROMULUS, Mich. (AP) — Detroit’s emergency manager says the city is defaulting on about $2.5 billion of debt. Kevyn Orr said Friday that Detroit is asking creditors to take about 10 cents on the dollar of what they’re owed. Underfunded pension claims will get less. Orr spent about two hours Friday morning with dozens of people representing banks, insurers and companies holding Detroit debt. He told reporters earlier at an airport hotel in Romulus he wants to fix fiscal problems that have made the city insolvent. He has instituted a moratorium on all of Detroit’s payments on unsecured debt, seeking forgiveness of millions of dollars owed by the city. He also said $1.25 billion will be set aside over 10 years for public safety, lighting and neighborhood blight elimination.